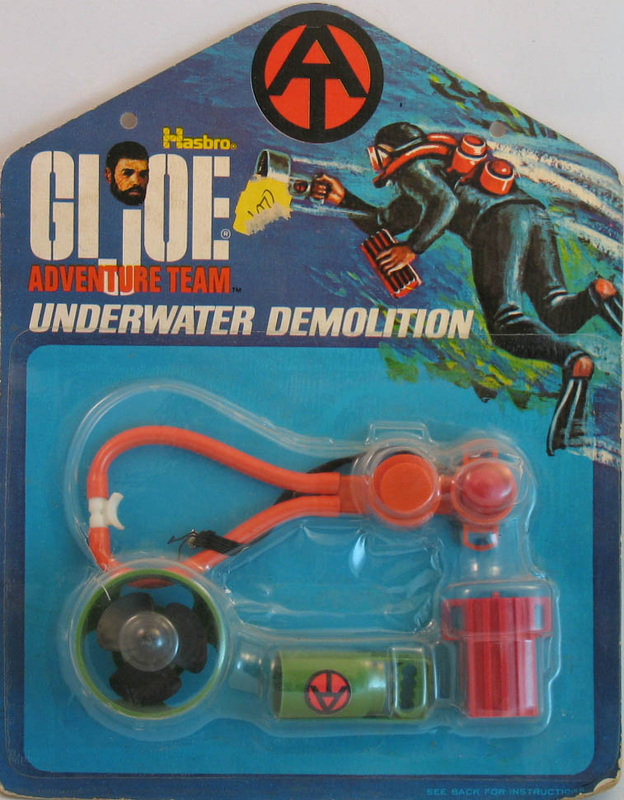 Underwater Demolition (7310) is based on 'rebreather' technology and gives the Adventure Team a militaristic edge. 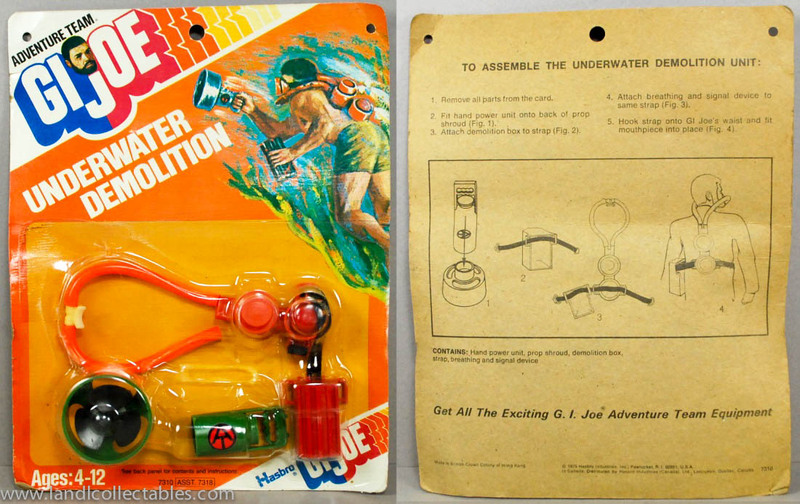 One of the most common sets to find loose, it also includes an underwater propeller and demolition pack, perhaps a magnetic mine. It is interesting the the card depicts the black frogman set which hadn't been available for at least two years. The later release orange card version removed the suit to depict Joe diving in his shorts. The red cap on the breathing pack is apparently meant to be a location beacon. Below, the hard to find 1975 orange card version of the set. Image Courtesy of L and L Collectables. Be sure to check out their sales of GI Joe and other great toys here!